April 29, 2017. Schaslyve, Kniazha Arena, Att: 250. +22oC. 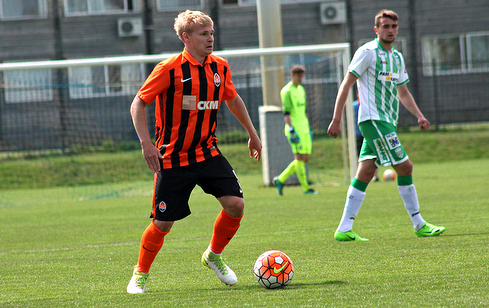 In this round’s major encounter, coming second in the standings Shakhtar (58 points) hosted Karpaty (50 points), who rank third in the league’s table. This season, the Pitmen have not beaten the Lviv side yet: they were hold to a 1-1 draw away and suffered a 0-2 loss in the home match. Due to disciplinary measures, defender Danylo Sahutkin and midfielder Denys Arendaruk could not help the Donetsk side in today's match. Valerii Bondar and Dmytro Topalov came on to replace them in their positions in the starting line-up, with the first time players Oleh Kudryk, Viacheslav Tankovskyi and Andrii Boriachuk fielded to get some game practice. From the opening minutes, the visitors saturated the defensive line to the fullest and played a back-three defence throughout the better part of the first period by blocking zoned safely and preventing Shakhtar from instigating rapid attacking moves. The Pitmen dominated possession, controlled the ball for a long time and spent almost the entire first half at the other end of the pitch; however, they managed to create just a few clear-cut chances near the Lviv side’s goal. The opening stages of the game registered the closest moment, as the ball hit the post to rescue Karpaty. Pidkivka denied long-range efforts by Arabidze and Tankovskyi. Boriachuk missed another good chance of breaking the deadlock shortly before the break, as the striker ran onto a pass from the deep, broke out from behind the defenders’ backs to go one on one with the goalkeeper, but lifted it over both the goalie and goal. 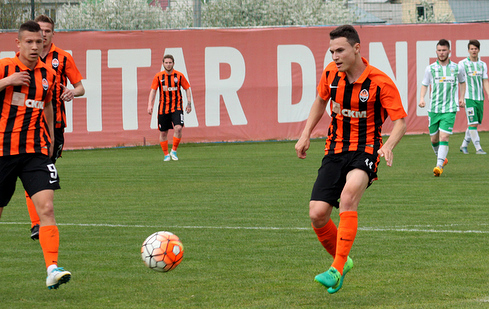 After a break, the game pattern did not change, but Shakhtar operated in a faster and more diverse way, displaying more threatening offensive performance. They actively employed both flanks; and if following a high cross from Kornienko from the left, Yurii Hluschuk’ headed the effort over the bar, then in the 60th minutes, Dmytro Topalov tapped a low cross by Kiryukhantsev from the right home with a first-touch. Having notched an opener, the Donetsk team eased the pressure a little and allowed Karpaty to enjoy more time in the attack, but Valeriy Kryventsov's lads did not lose control of the game and delivered threatening counters. Once again, Boriachuk failed to lob over the stopper, before a streak of promising low crosses ended with Ihnatenko dragginghis shot from the goalkeeper's line just over the bar, with Hluschuk and later Topalov failing to beat Pidkivka in close action. 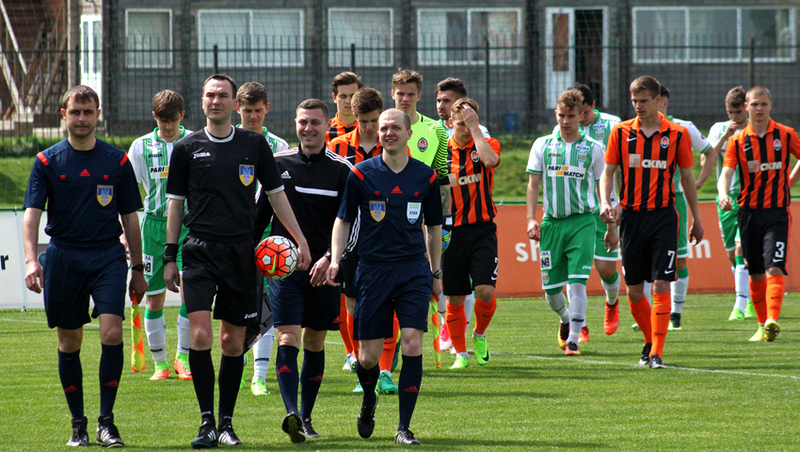 The final whistle recorded Shakhtar's victory over Karpaty by a score of 1-0. In the match that follows on May 5, the Pitmen will take on Zorya Luhansk in Schaslyve. 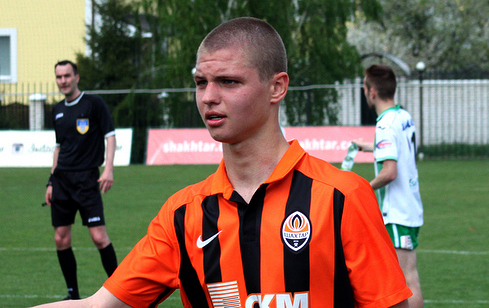 - The match turned out to be tough versus the Lviv side, as always. 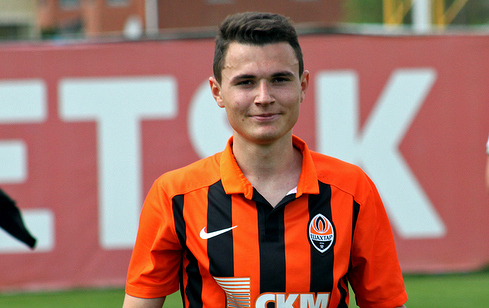 I, for example, have beaten Karpaty for the first time in two years. They are famous for their great performance in winning the ball and the ability to offer challenges. However, we have also shown our mettle today and did not surrender. The opponents defended heavily, and it was tough for us to oppose such a formation. I think if we had converted our chances in the first half, it would be easier. As for the goal I scored, we hone such situations at the training sessions. The mentor always says that if a pass follows from the flank, there must be three players inside the penalty area without fail. I am happy that my goal has helped the team. There are five more encounters ahead of us, and we do not lose heart. The main thing is to demonstrate our football in every match and fight to the end. - Matches versus Karpaty in all age categories are very difficult, because this outfit is uncompromising and always beats to the end. Irrespective of the result, they display good and organized football throughout two halves. Moreover, today the Lviv side operated safely in defence, and it was not easy for us to secure a victory. We headed into the first half with a task of scoring an early goal, created a few moments of danger, but could not do the needful. The same plan was for the early stages of the second period, and we managed to break the deadlock. After conceding a goal, the opponents became more active, but we defended calmly, delivered counter-attacks and carried the game to a successful end. In every youth league’s clash, you get a great experience, playing next to the older guys, who explain a lot on the field and give prompts. It is also interesting to learn from the first team players. We watch them, try to learn and progress.